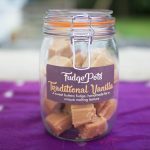 FudgePots combines an old family recipe for handmade fudge with Indian ingredients and ideas, to create something deliciously new. 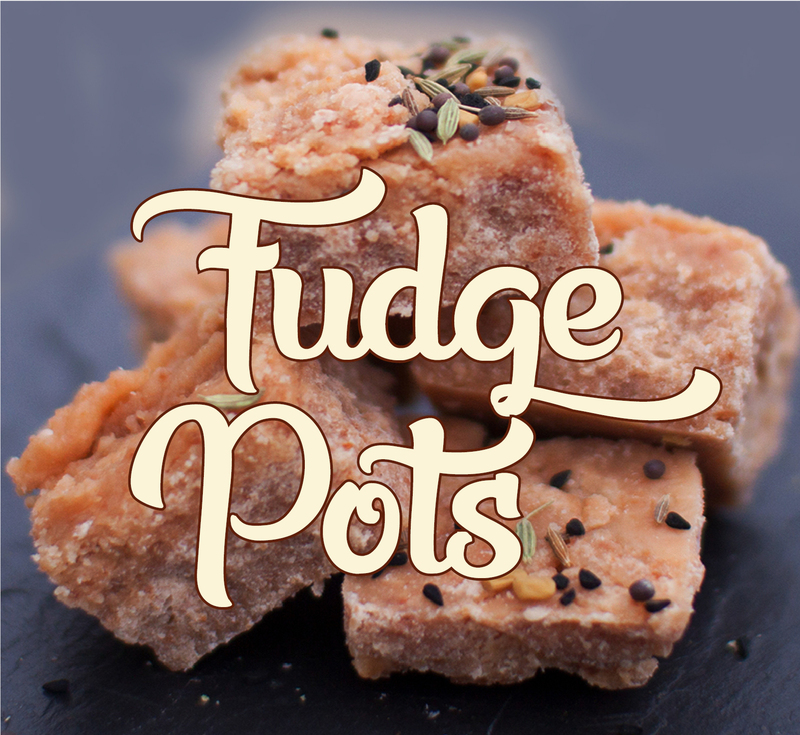 FudgePots offer traditional favourites such as vanilla and chocolate fudge, but also spiced fudges flavoured with Indian Rose (rosewater & fennel), Warm Spice (turmeric & cumin) and Panch Phoron (a special mix of aromatic Bengali spices, also known as Bengali Five-Spice). The Gingerbread fudge is especially delicious, incorporating orange, ginger, cinnamon, nutmeg and cloves. As with authentic Indian food, the aim is not to scorch the tastebuds with chilli, but to use milder spices to enhance the original dish with tang, savouriness or piquancy. Think of salted caramel, times ten! The company comprises of two directors, Catrin and Rita, and a small but ever-helpful Local Volunteer Experimental Fudge Tasting Corps. We are grateful for their unceasing efforts.” FudgePots. Q What flavours do you do? Traditional flavours, but also Indian Rose (rosewater & fennel), Warm Spice (turmeric & cumin) and Panch Phoron (a special mix of aromatic Bengali spices, also known as Bengali Five-Spice). The Gingerbread fudge is especially delicious, incorporating orange, ginger, cinnamon, nutmeg and cloves. As with authentic Indian food, the aim is not to scorch the tastebuds with chilli, but to use milder spices to enhance the original dish with tang, savouriness or piquancy. 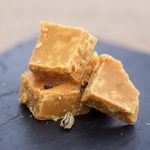 Q Where can we buy your delicious fudge? 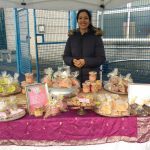 You can contact us directly and at the Vale of Glamorgan farmers’ markets in Cowbridge and Penarth. Q Are your fudge made with fairtrade ingredients? Yes they certainly are. We only use fairtrade cocoa to make our fudge.